When we arrived at Days Inn they told us they never received the reservation, never heard of book 2 park. and did not have any parking spaces left. After going back and forth with them for 15 minutes, they finally found one space left and allowed us to park there. Other than that, all was well. Easy, convenient and cheap parking. Definitely do it again and recommend it to my friends. 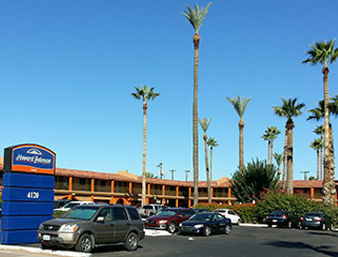 I parked here at Days Inn last year while I traveled to Texas and loved the service I received. My car was safe and the shuttle service was prompt. Everyone was so polite and helpful. You can't beat the price or the service.I just booked again for the second time and will continue for all my parking while traveling. Parking is right on the Days Inn lot, so I felt OK about leaving my car for a few days. This location only has one driver, so on the return leg of your trip, you should call him before you get your bags from baggage claim to make sure he is there by the time you are ready.